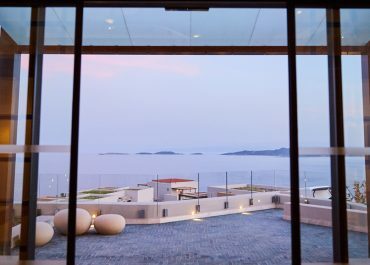 Set in a remote location overlooking the endless azure, right by the remarkable Eagles Palace 5 star hotel, these exceptional villas in Halkidiki wisely combine utmost privacy with world-class service as privileged guests can make use of all the luxury facilities of its sister property. 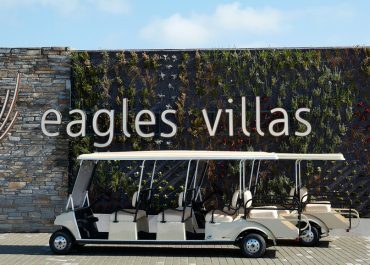 The Eagles Villas are a perfect choice for elite travellers seeking for a stylish luxury accommodation in Halkidiki near the beach. 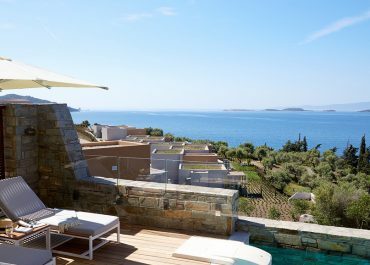 Beautifully sited on a verdant hilltop, these premium villas with private pool offer the most amazing views to the sea and awe-inspiring sunsets. 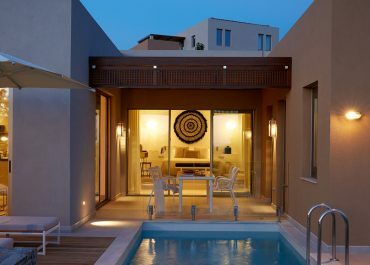 Guest are welcome to rent a villa, bask in the sun on the expansive outdoors spaces, plunge in their private pool or dine al fresco with our in-villa dining meal options against the scarlet painted sky. 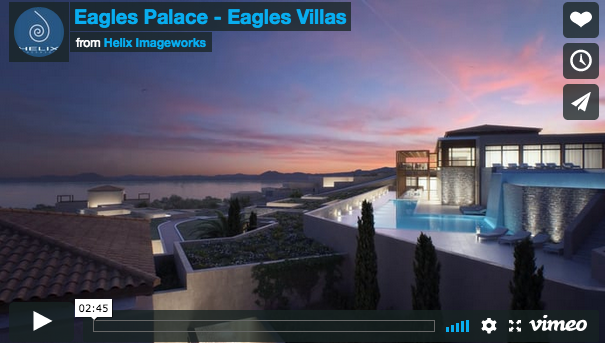 Adorned with sophistication and style, all Eagles Villas emanate a sense of natural bliss and contentment. From the specially appointed interiors and elegant living spaces to the spacious outdoor lounge areas, everything has been designed with comfort in mind. 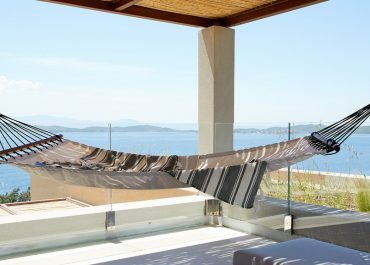 The gorgeous villas also feature kitchenettes equipped with an induction, wine cooler and an 80 lt. fridge to cater to your needs especially if you are travelling with young children.